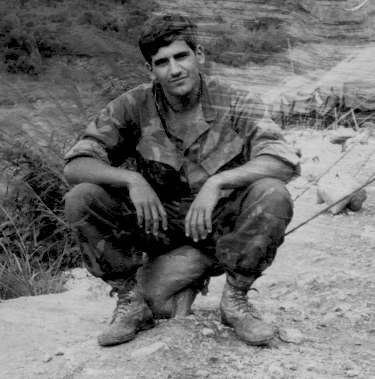 ANTHONY MICHAEL "TONY" CUSUMANO - 0331 MACHINE GUNNER - 1ST PLATOON, KILO COMPANY. KILLED IN ACTION FEBRUARY 1, 1969, AT THE AGE OF 20, AS A RESULT OF WOUNDS RECEIVED FROM A LAND MINE ON JANUARY 31,1969. TONY WAS AN EXCEPTIONALLY NICE AND ENTERTAINING INDIVIDUAL. 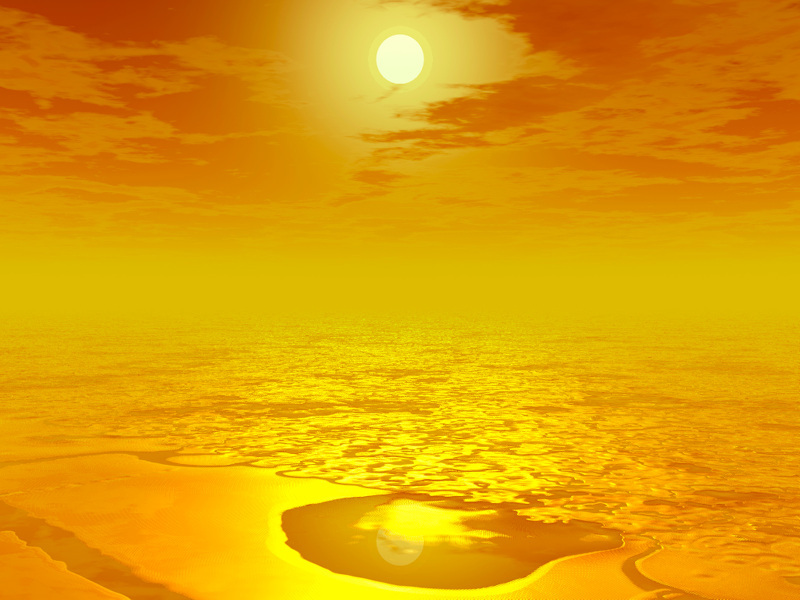 WHENEVER HE WAS AROUND HE LIT UP THE AREA WITH HIS ENTHUSIASTIC PERSONALITY AND GREAT SENSE OF HUMOR. WE MISS YOU TONY. TONY'S NAME CAN BE FOUND ON THE VIETNAM MEMORIAL IN WASHINGTON D.C. ON PANEL 33W, ROW 30. THANKS TO JAMES IMPELLIZZERI, TONY'S YOUNGER COUSIN WHO ALWAYS LOOKED UP TO TONY, FOR THE PHOTOGRAPH. PLEASE PLACE YOUR REMEMBERANCES OF TONY IN THE GUEST BOOK BELOW. 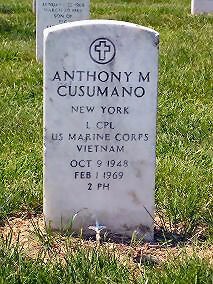 TONY'S FINAL RESTING PLACE IS IN LONG ISLAND NATIONAL CEMETERY.